Riverside, California (May 22, 2017) – A member of the Hells Angels Motorcycle Club was fatally shot at a Riverside gas station, and police are searching for his killer. Officers responded to a call of a shooting at a Shell gas station at 3502 Adams St. in Riverside shortly before 10:30 p.m. Sunday. 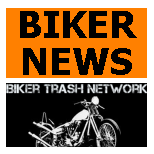 According to authorities, five motorcyclists who appeared to be part of the Hells Angels Motorcycle Club were passing through town and stopped at the gas station to fuel their motorcycles. Suddenly, a silver four-door sedan pulled up, a passenger got out and started shooting at the group. Two people were hit. One motorcyclist was grazed by a bullet that hit his helmet. Authorities said he will be OK.
A second motorcyclist was also struck by gunfire. Emergency crews from the Riverside Fire Department provided immediate medical aid and transported the victim to the Riverside Community Hospital, where he later died from his injuries, police said. The coroner's office later identified him as James Duty, 31, of Orange. After the shooting, the suspect got back in the passenger side of the sedan and the car fled westbound on the 91 Freeway. Police are still trying to figure out why the gunman opened fire. Police do not have a description of the shooter. "Right now, we don't know what the motive is. We are confident that these five had some type of affiliation with the Hells Angels motorcycle gang, but we're looking into where they were at. Was there some type of problem earlier? We don't know that yet," said Officer Ryan Railsback with Riverside police. Investigators have collected surveillance video from the gas station but have yet to release the footage to the public. Detectives from the Robbery-Homicide Unit and the Gang Intelligence Unit were investigating the incident.